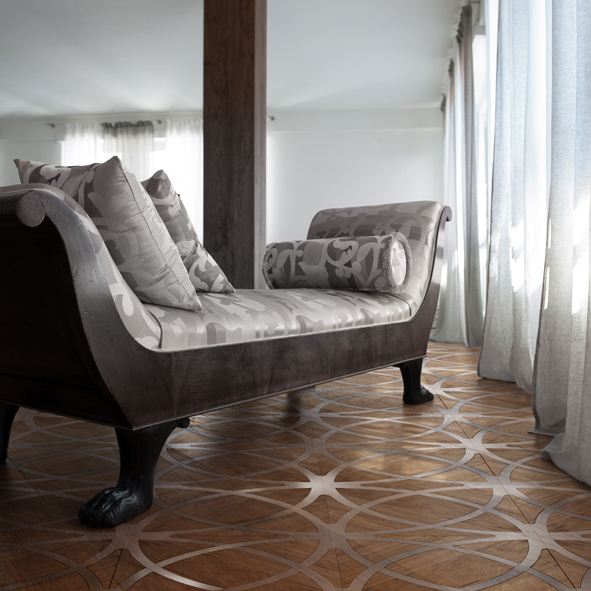 ARTISTIC SURFACES COLLECTION is based on an artistic concept combining wooden inlay with metal and stone. Oak, teak and walnut, brushed and hand-planed, combined with weathered metal and stone by the expert craftsmen at Archimede Bozzo. Archimede Bozzo works directly with its own craftsmen, guaranteeing every stage in the making of the finished product.